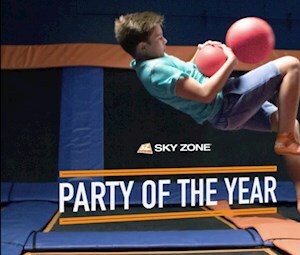 Limited time promotion: Book any party package with 10 jumpers & receive 1 Hour per day of FREE Open Jump for 30 days! 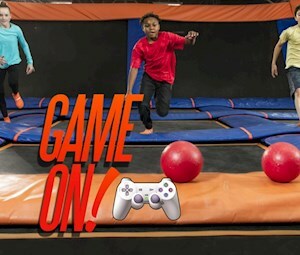 Our best, all inclusive package with 1Hr of bouncing, dunking & flips for 10 guests, 1 Hour in private room, Party host & all the party essentials. Limited time promotion: Book now & receive 1 hour per day of jump for 30 days. Everything included in Best Birthday Ever Package plus upgraded mezzanine level Private room with access to Gaming (XBox & PS4) - Fortnite, Minecraft, Apex, Rocket League, NBA 2K, Spider-man and XBox Live Gold Games. 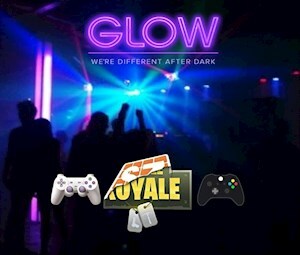 Black lights, Lively music, & access to gaming lounge(Fortnite, NBA2K & more) 1Hr of GLOW jump for 5 guests(Ages 5 and up) and 40 minutes in a private room. Fri & Sat evenings. Upgrade with 5 additional jumpers & get an hour of jump every day for 30 days! 1Hr of jump time for 5 toddlers and 40 minutes in a private party room. 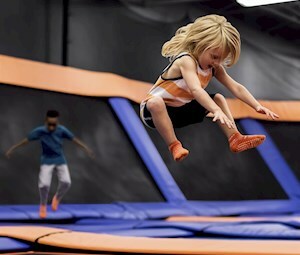 Exclusive Toddler jump available only on Saturdays from 9-10am. Upgrade with 5 additional jumpers & get an hour of jump every day for 30 days!